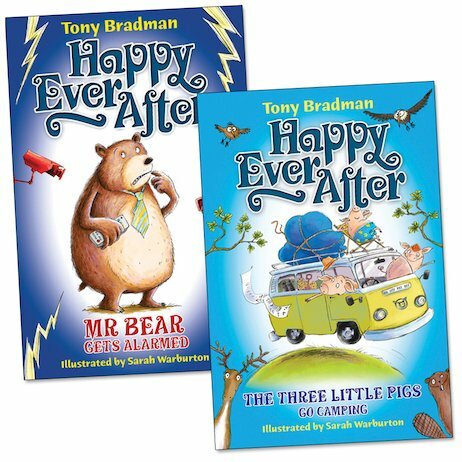 Fresh and funny stories by favourite author Tony Bradman, which ask what happens after the end of favourite fairy tales. Does everyone live happily ever after? Or will some surprises be in store? Will anxious Mr Bear ever learn to stop worrying after Goldilock’s thoughtless break-in? And when the Three Little Pigs go camping, can the youngest piglet stop being so sensible, and let his happy-go-lucky brothers show him how to relax and enjoy himself? Deliciously playful fairy tale fun which offers lots of quirky insights into the characters, themes and outcomes of the original stories.